Oh what fun this cheerful holiday arrangement will bring to any home. 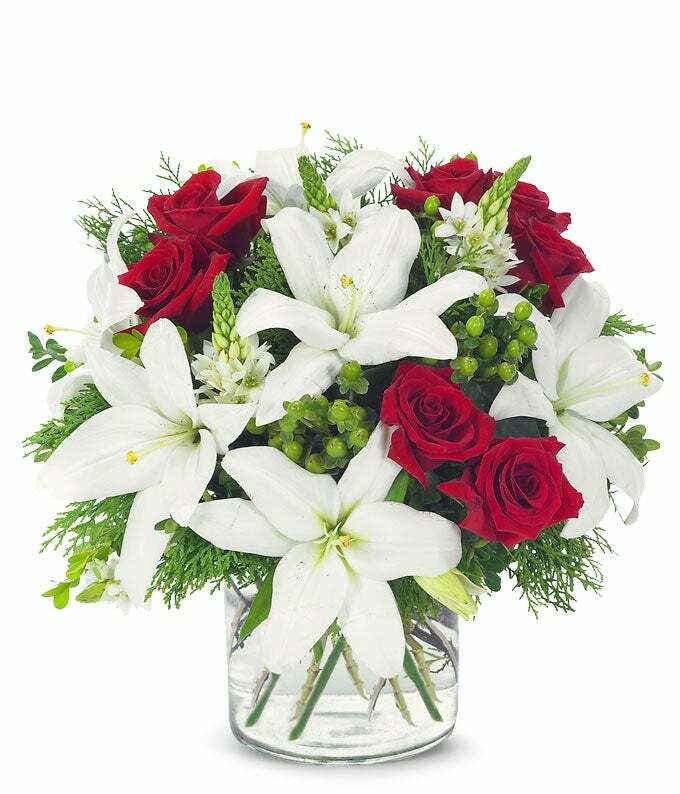 Roses, Asiatic lilies, hypericum and traditional Stars of Bethlehem celebrate the season in a festive cylinder container. Measures 13"H by 13"L.